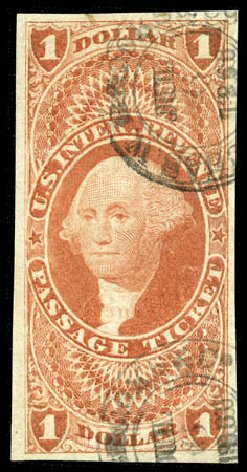 Revenue, 1862, First Issue, $1 Passage Ticket, plate proof on card (Scott R74P4), attractive example, scarce, Very Fine. Scott $425. Estimate price $200 – 300. 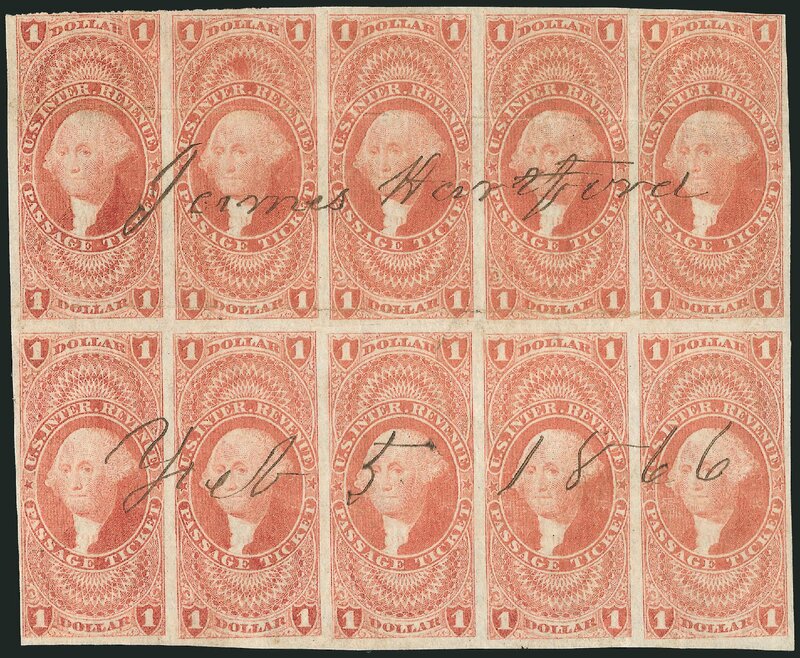 Revenue, 1862, First Issue, $1 Passage Ticket, imperf (Scott R74a), neat manuscript cancel, clear to very large margins including sheet margin at bottom, attractive stamp, Very Fine. Scott $350. 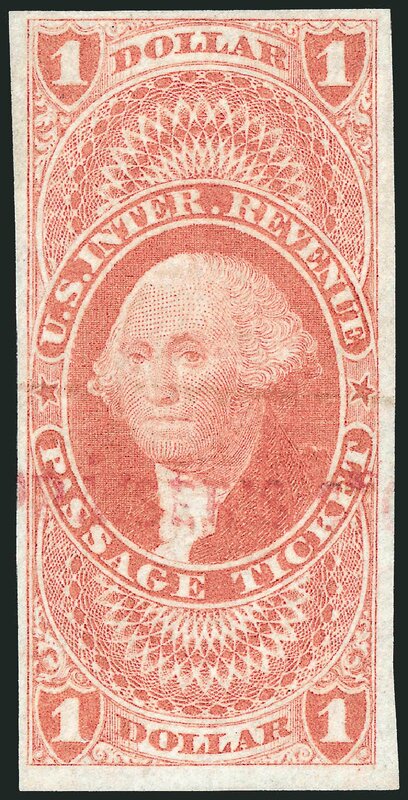 Estimate value $250 – 350.
o Revenue, 1862-71 First Issue, $1 Passage Ticket, imperf (R74a), full to large margins with lustrous color and light Chas. W. Brooks & Co. c.d.s. 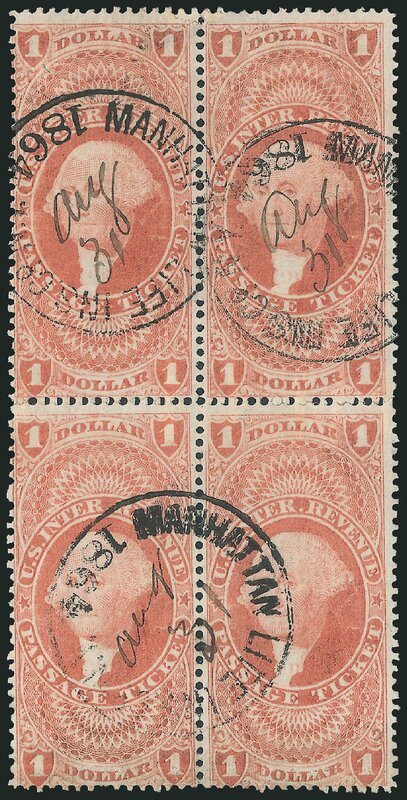 cancels, Jul 6, 1866, fresh and Very Fine. Scott value $300+ Expertization: 2009 PF Certificate. 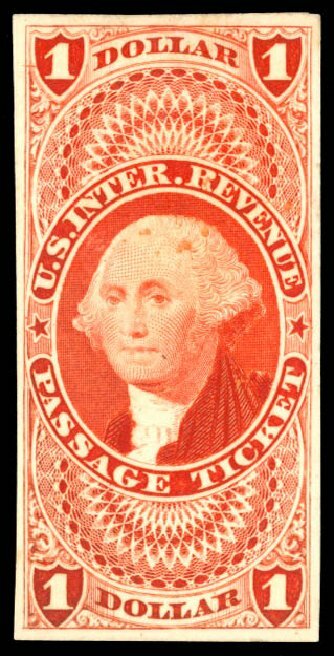 o Revenue, 1862-71 First Issue, $1 Passage Ticket, perf’d (R74c), unusually well centered with neat manuscript cancel “D.S. & Co., Aug 25, 1864”, Extremely Fine. 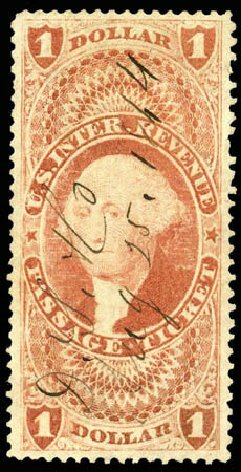 Scott value $275 Expertization: 2002 P.S.E. 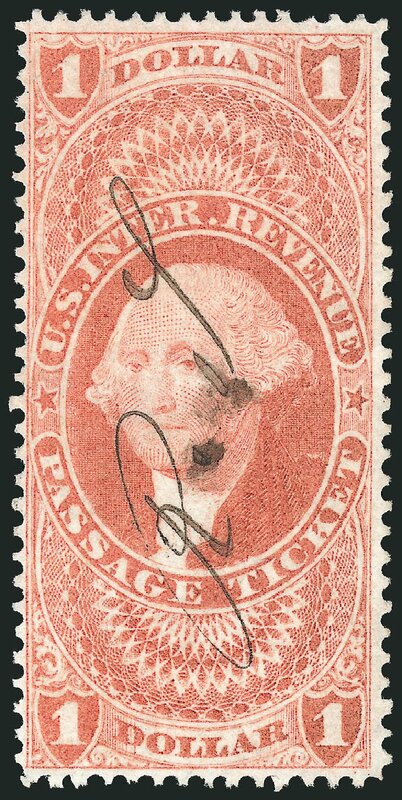 Certificate graded VF-XF 85.